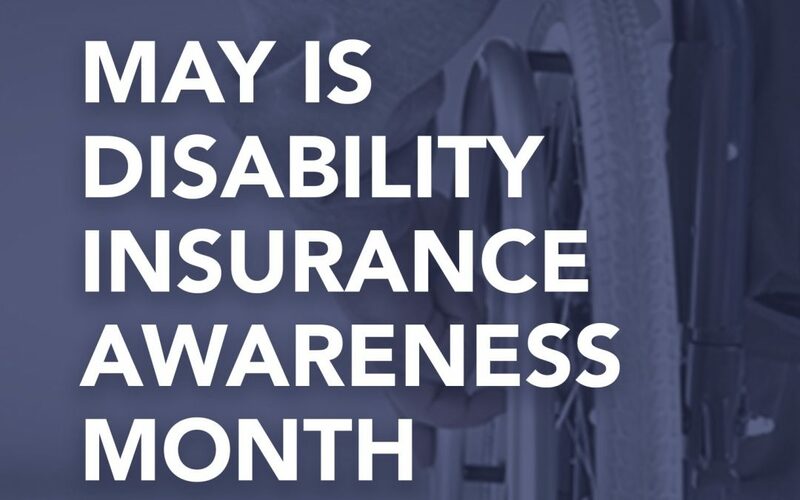 May is Disability Insurance Awareness Month, a time to address the strategies you have in place to protect yourself and your family from loss of income due to injury or illness. Without your paycheck, how long would you be able to make your mortgage or rent payment, buy groceries, or pay your credit card bills without feeling the pinch? If you’re like most, it wouldn’t be long at all: Half of working Americans couldn’t make it a month before financial difficulties would set in and almost one in four would have problems immediately, according to a Life Happens survey . That’s where disability insurance comes in. Think of it as insurance for your paycheck. It ensures that if you are unable to work because of illness or injury, you will continue to receive an income to make ends meet until you’re able to return to work. You insure your autos, your home, your business, and hopefully, your life. Don’t forget to insure your income. We’re here to answer any questions you may have, and of course, we are always happy to provide you with a no-obligation quote. More than 25 percent of today’s 20-year-olds will become disabled before retirement. One in eight workers will be disabled for five or more years during their working careers. About 12 percent of the American population is classified as disabled (37 million). The average long-term disability absence lasts 34.6 months. This article is based mostly on information from Life Happens and can be found here.